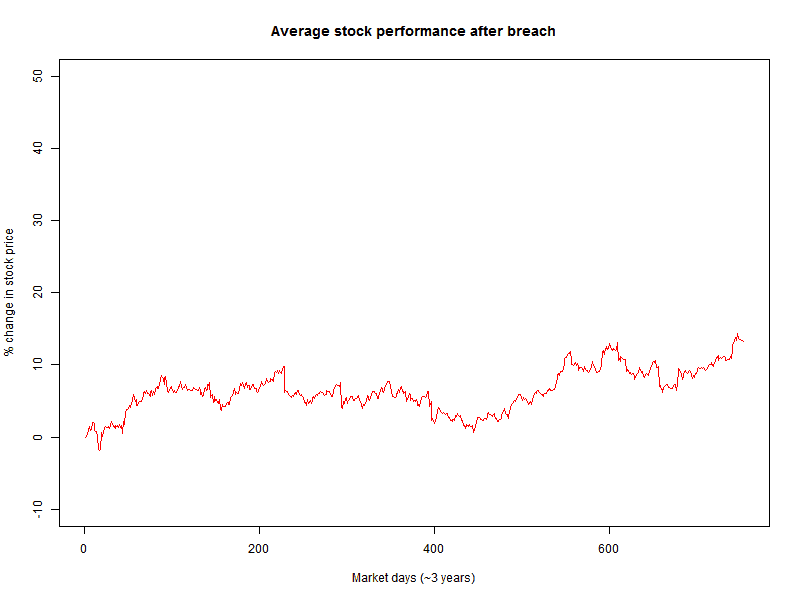 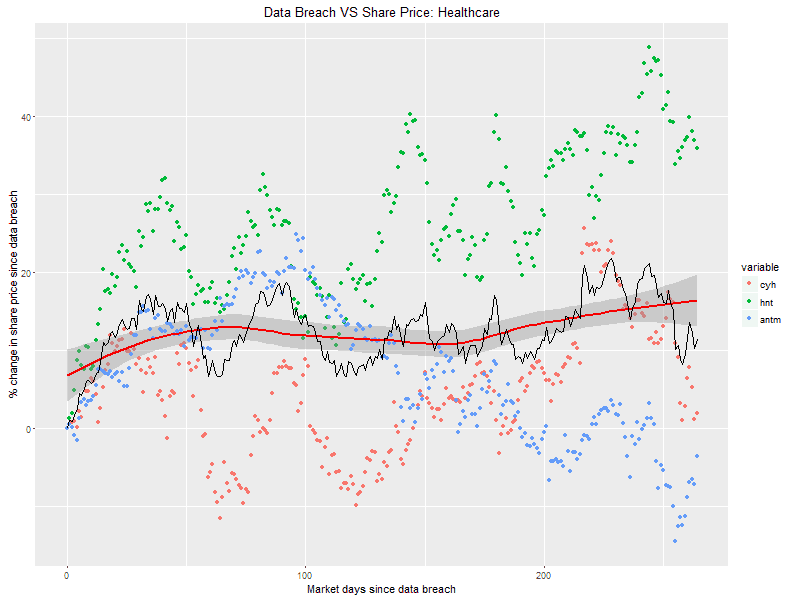 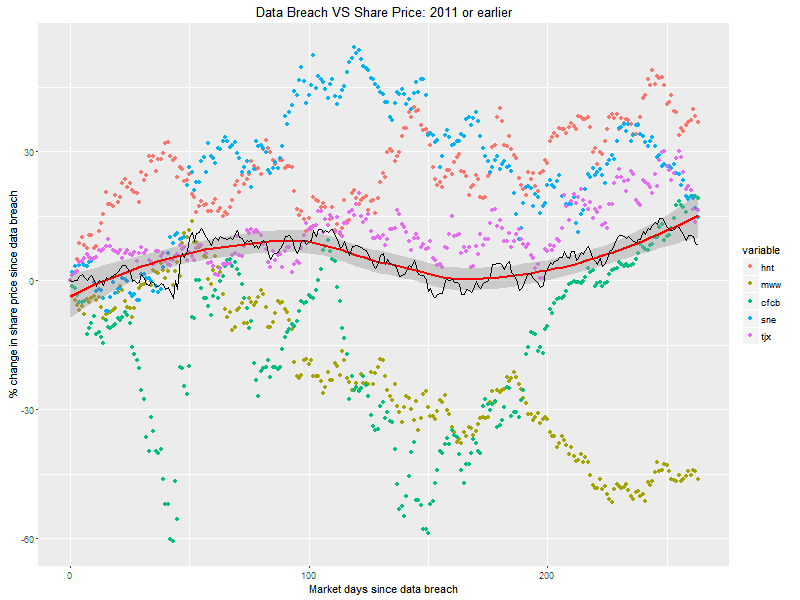 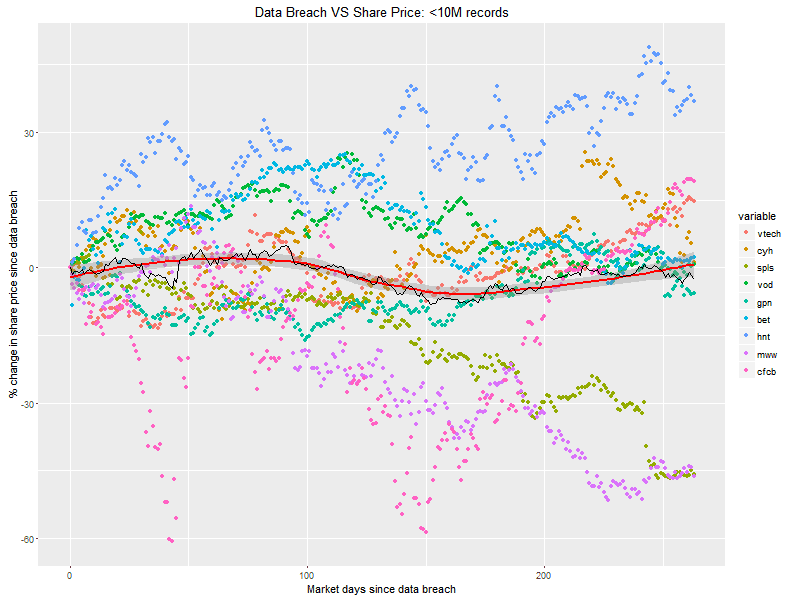 The most notable result is older breaches met with a stronger initial reaction than newer breaches. 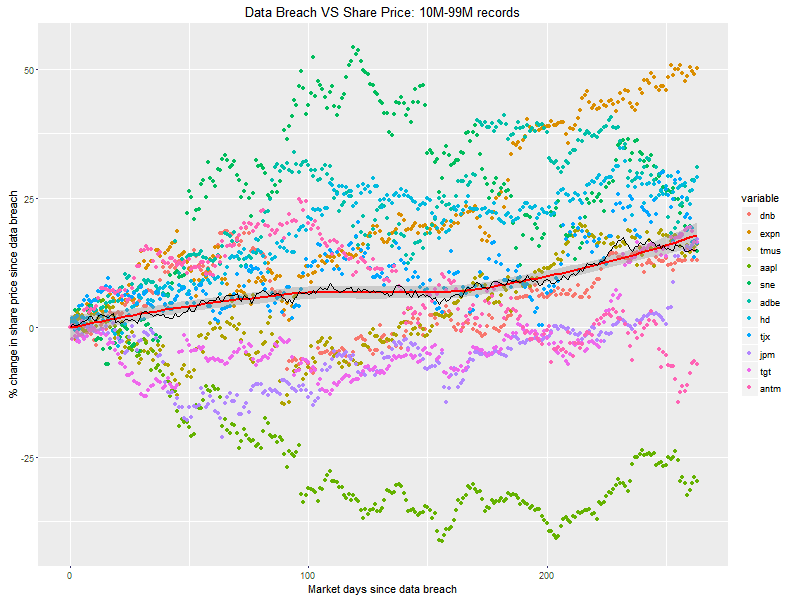 One theory is that breaches were a relatively uncommon occurrence prior to 2012, but as time goes on they become more common. 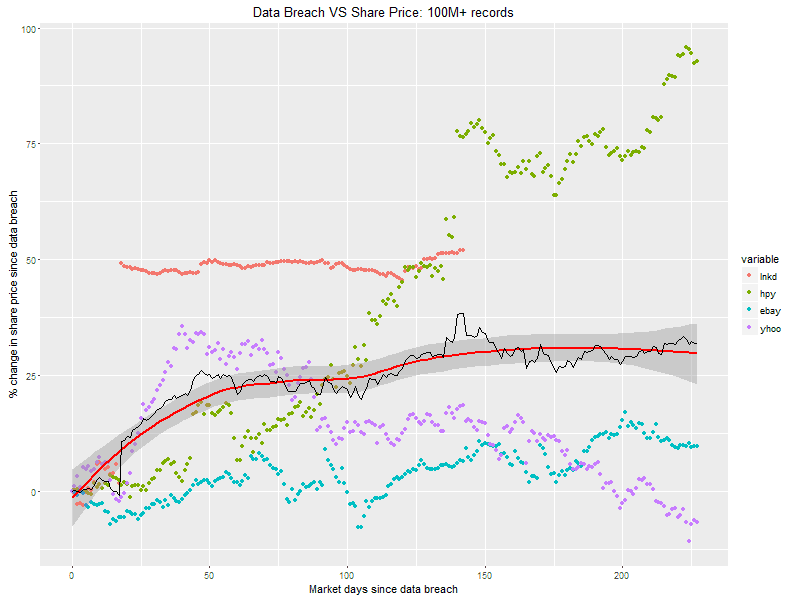 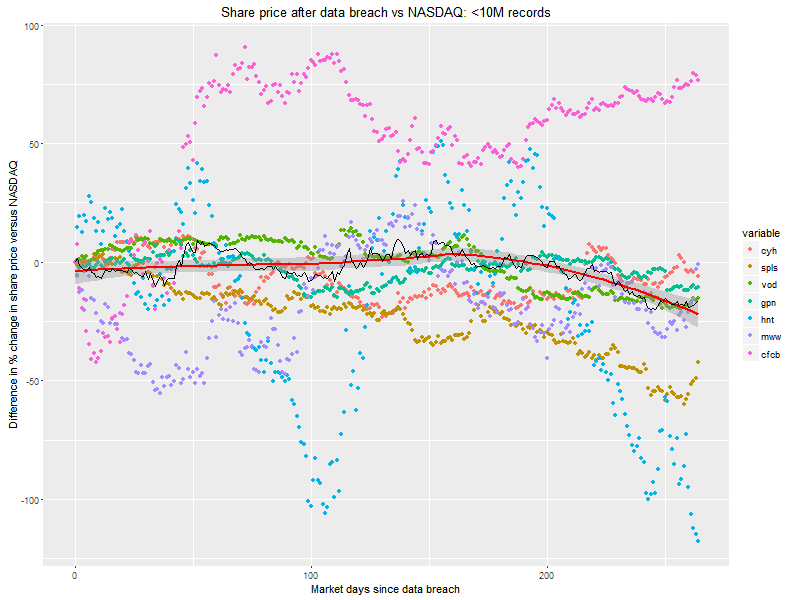 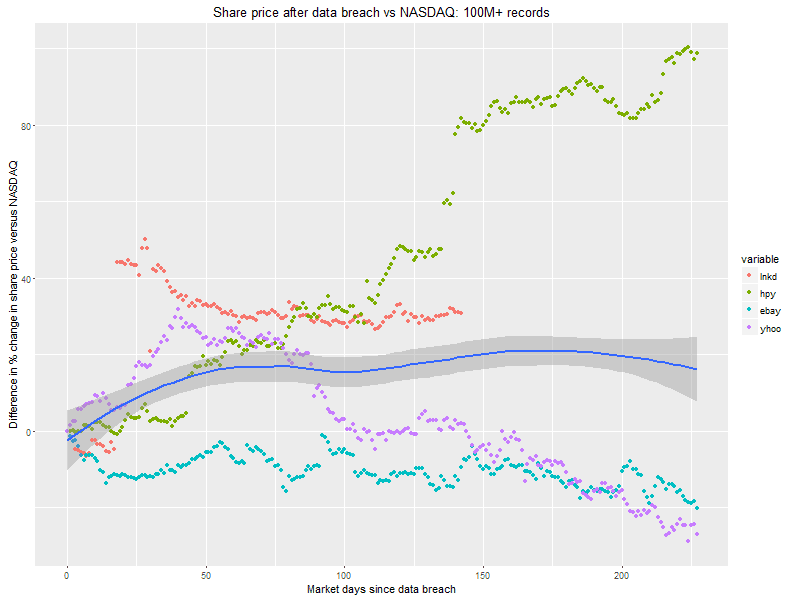 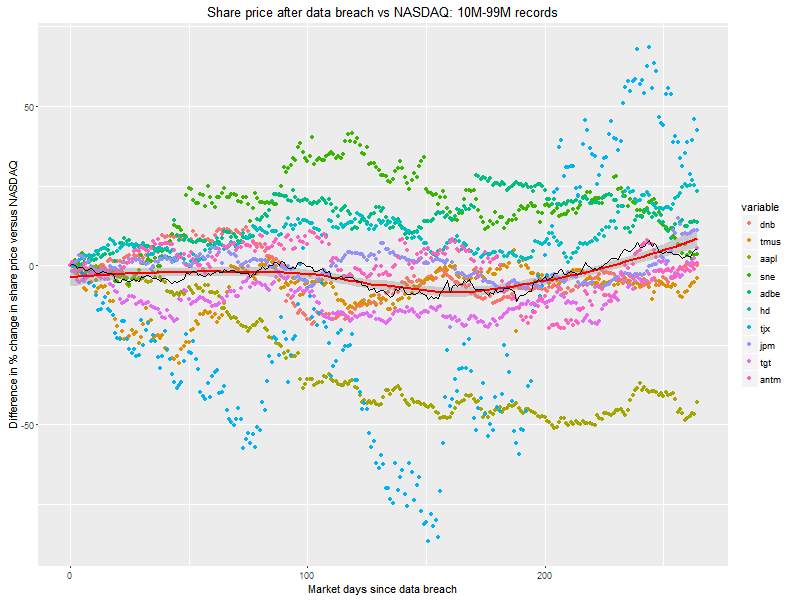 This causes a „breach fatigue“, or bed-of-nails effect, in which investors are less shaken by data breaches as time goes on. 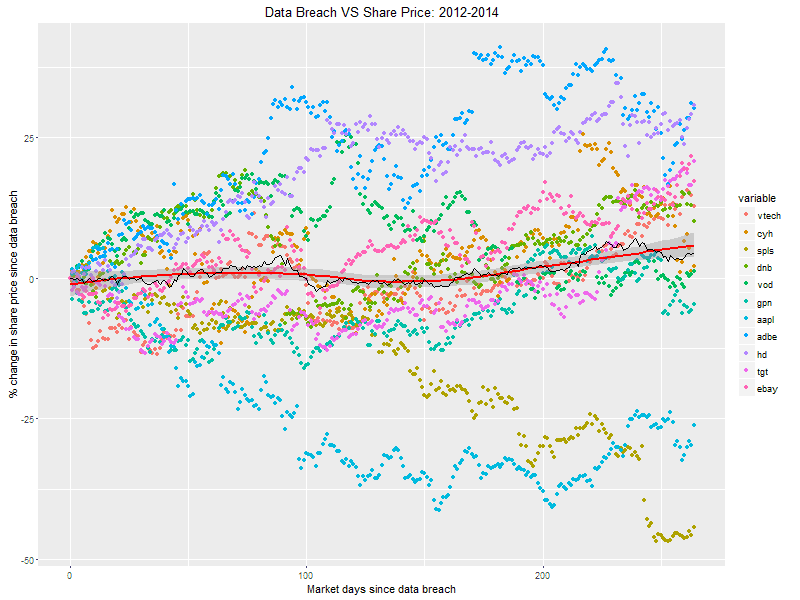 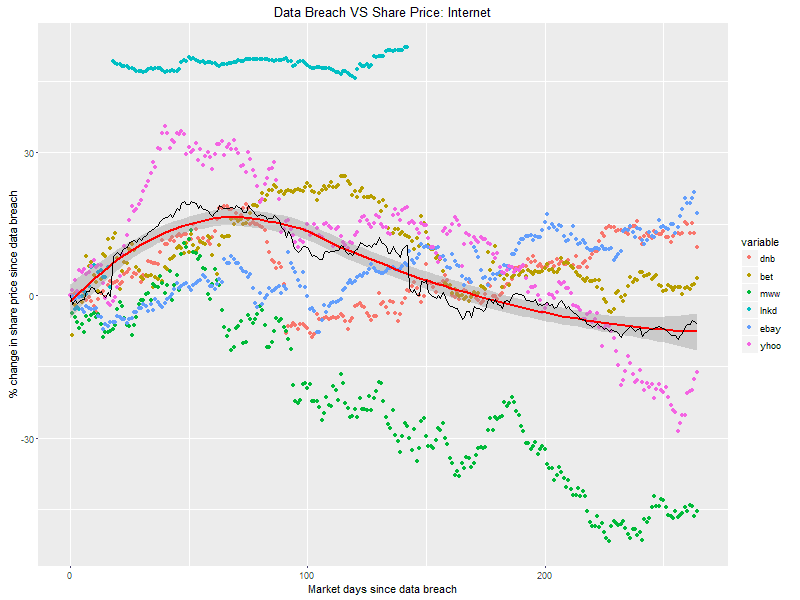 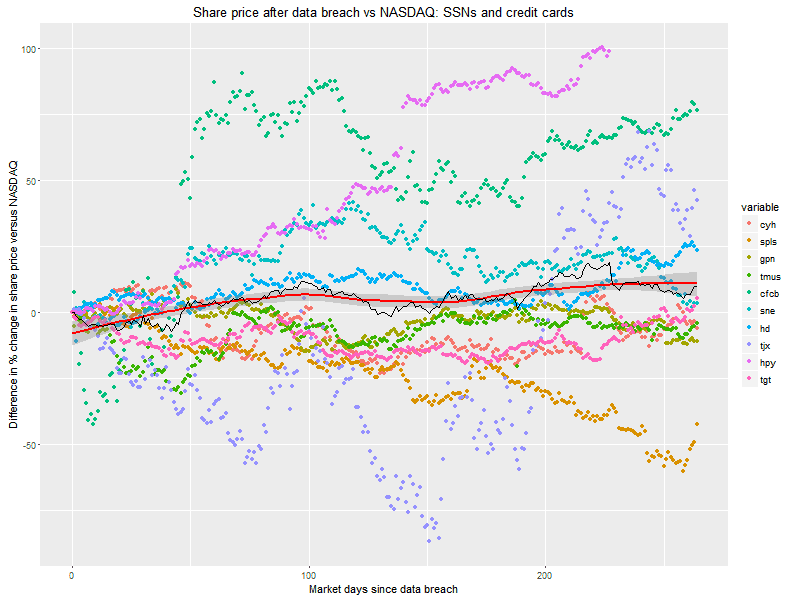 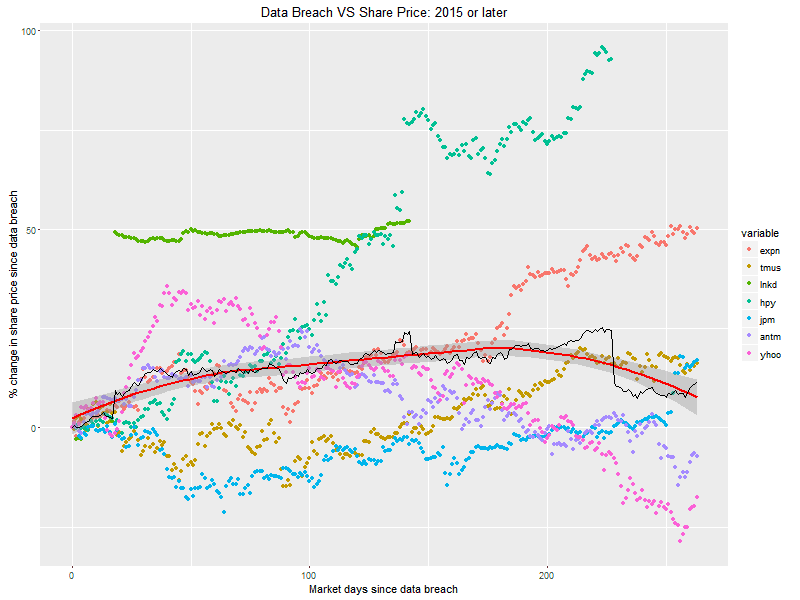 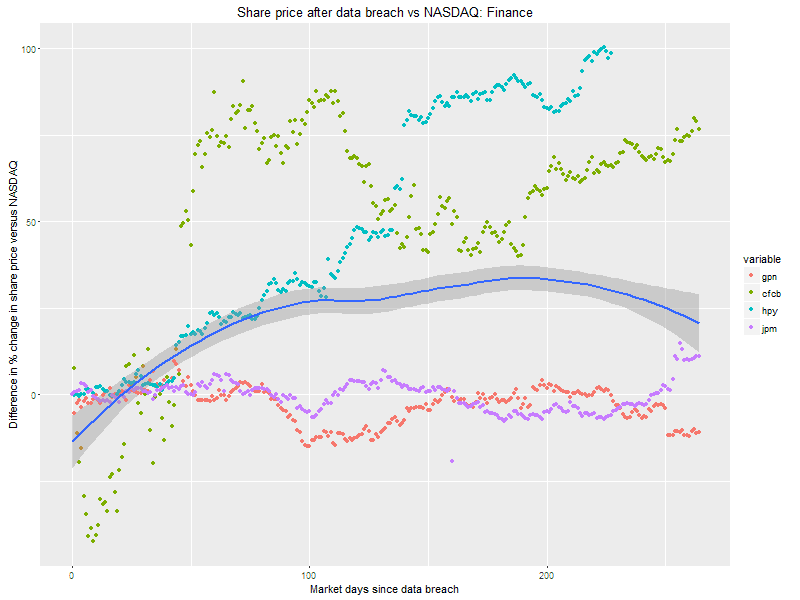 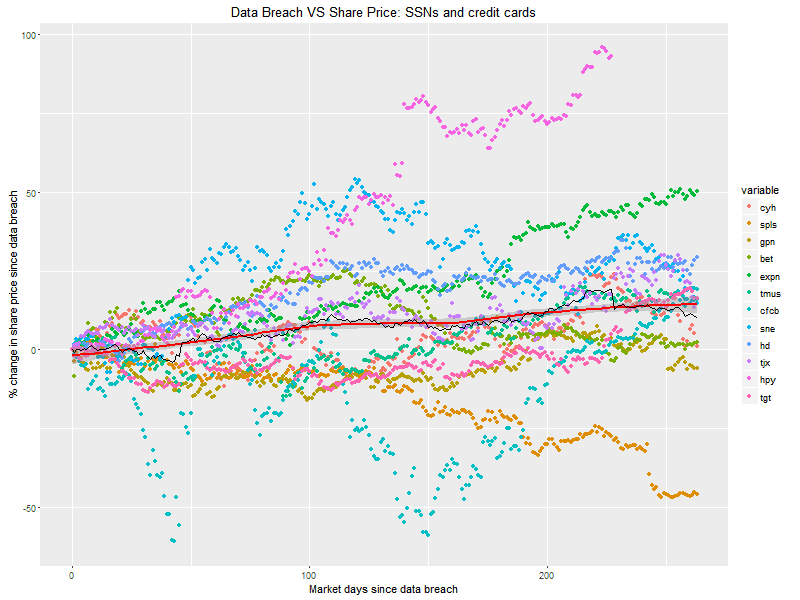 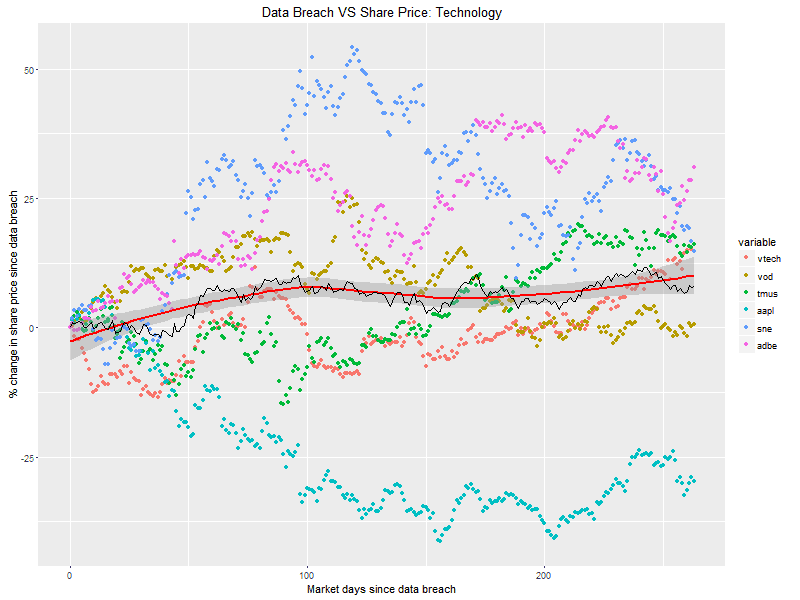 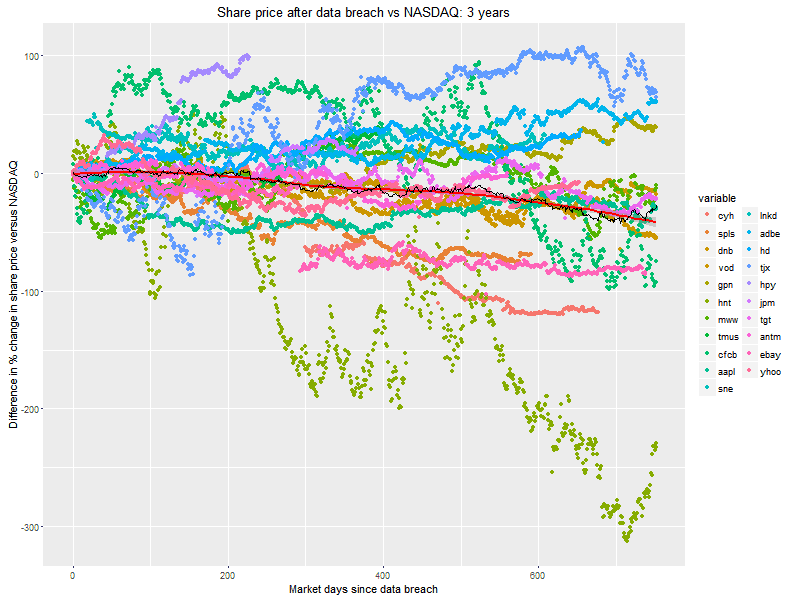 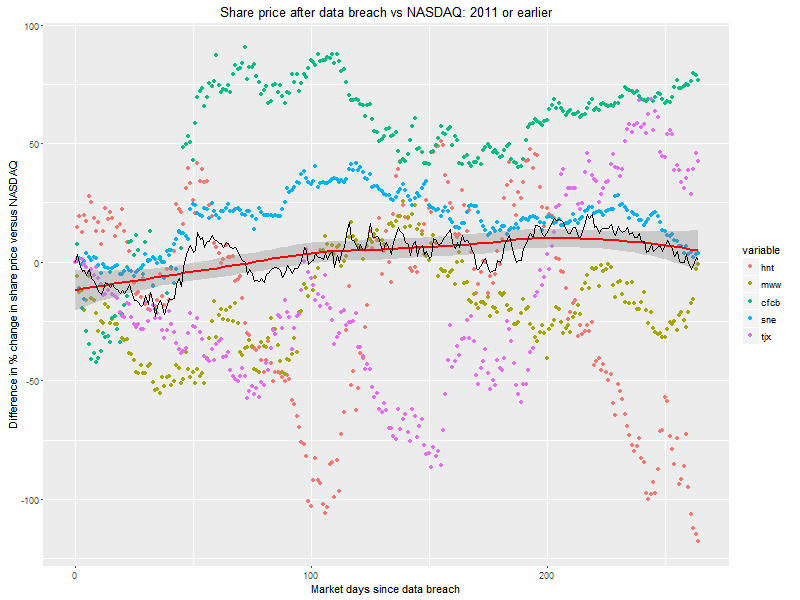 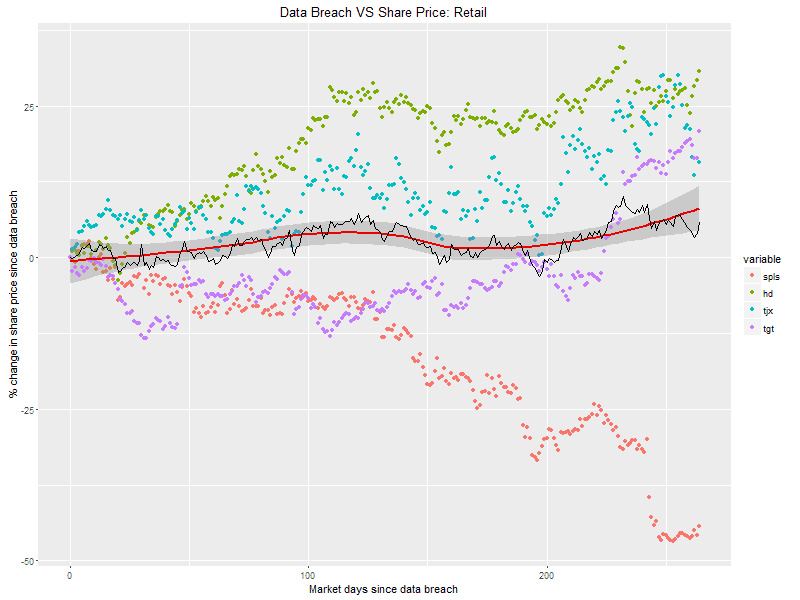 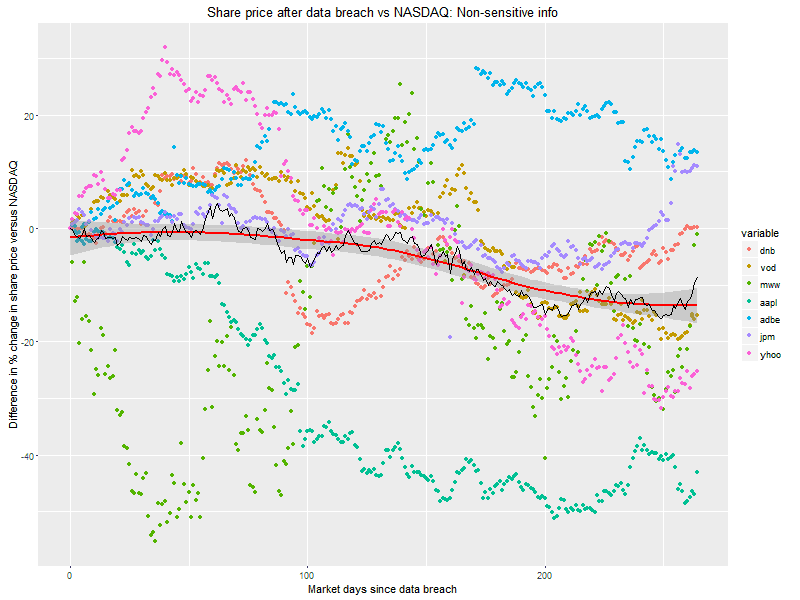 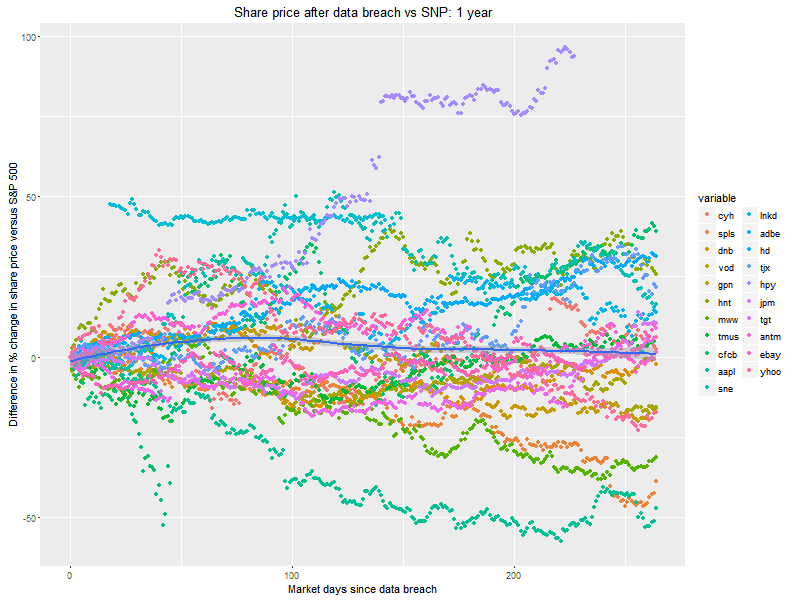 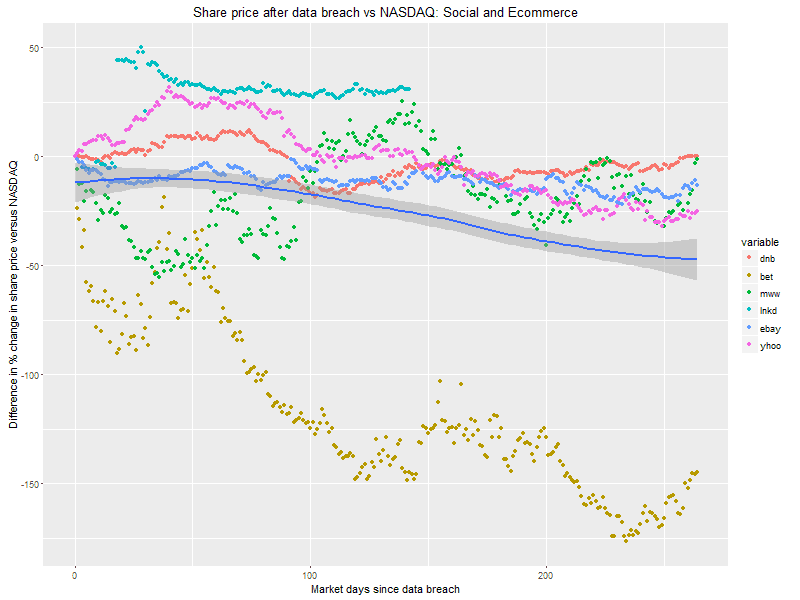 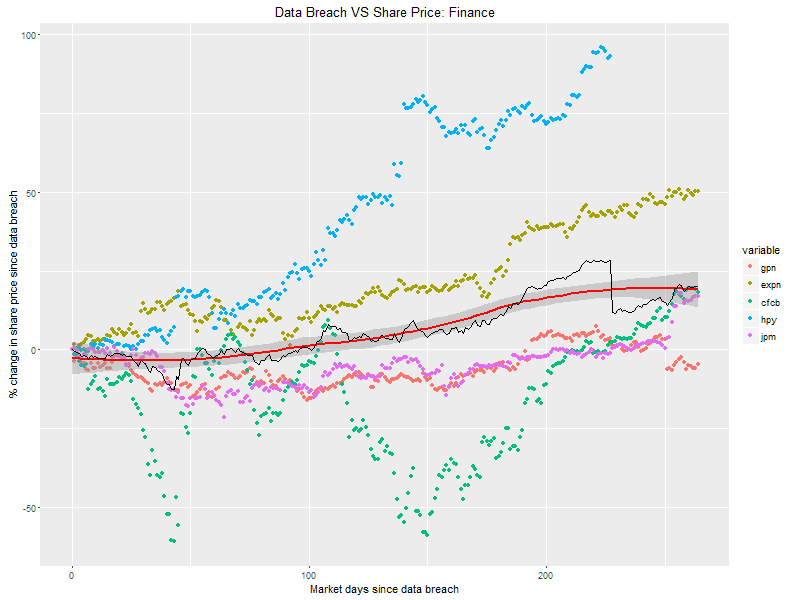 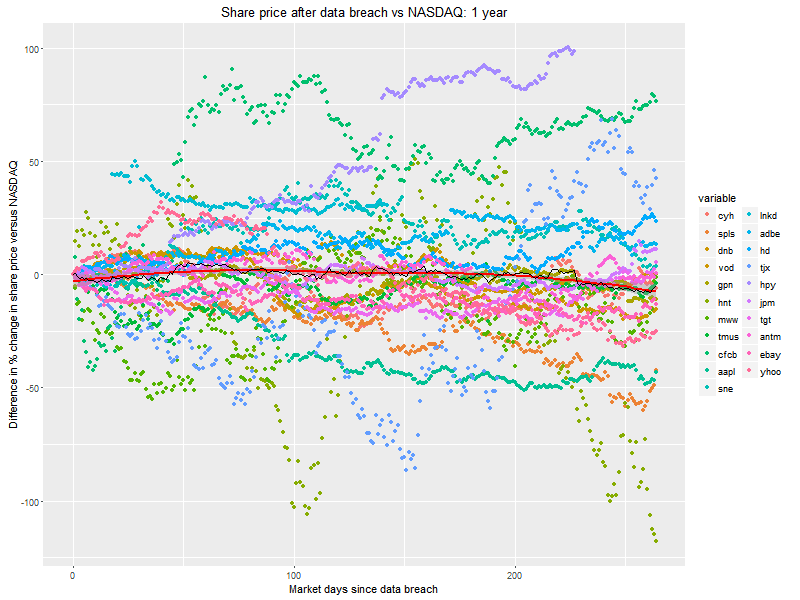 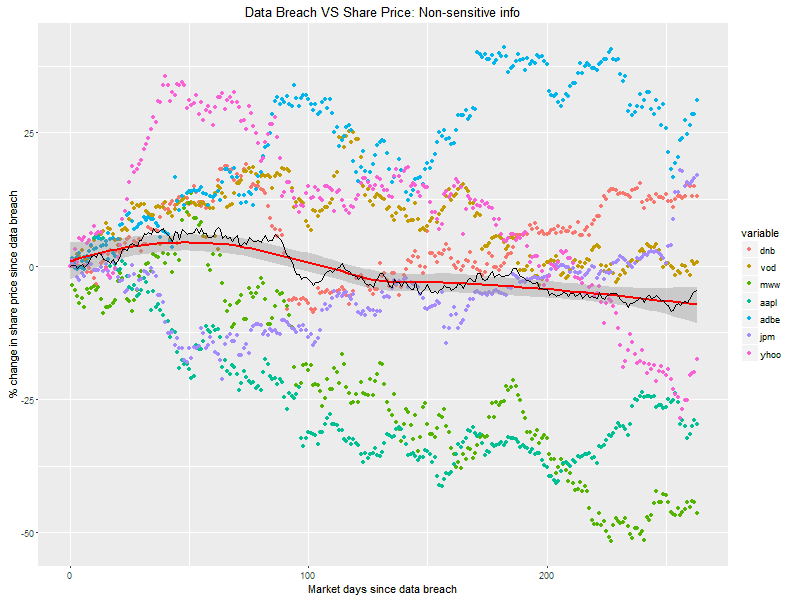 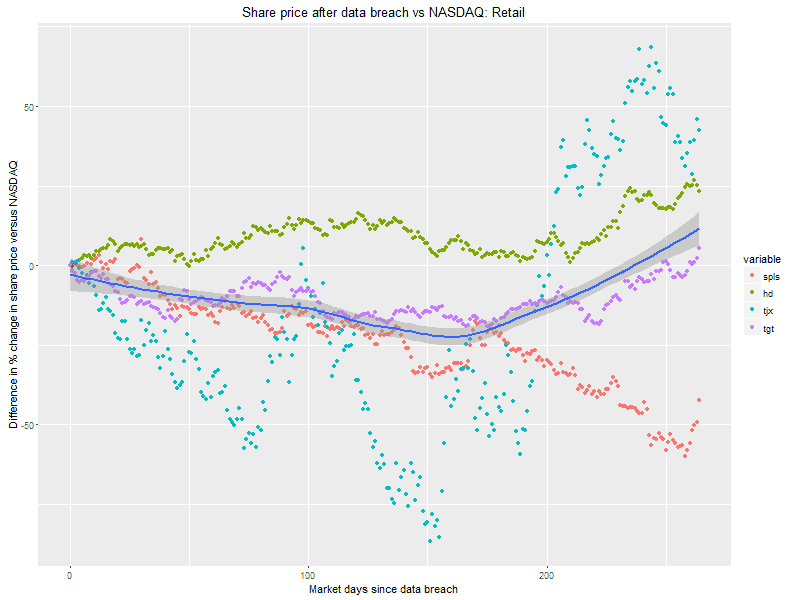 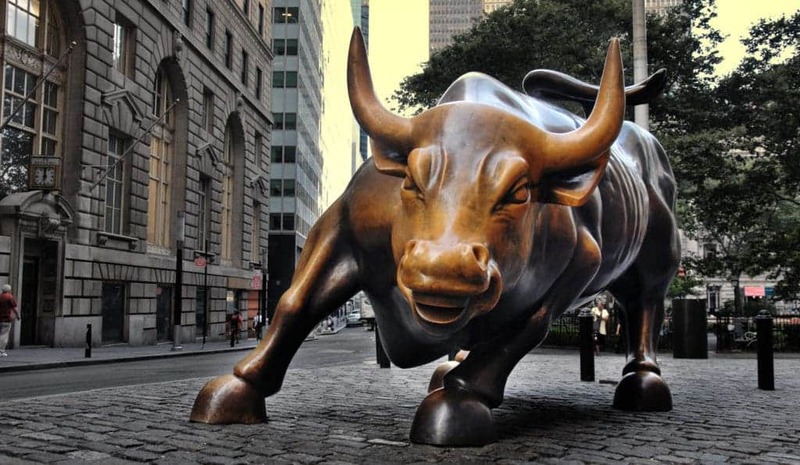 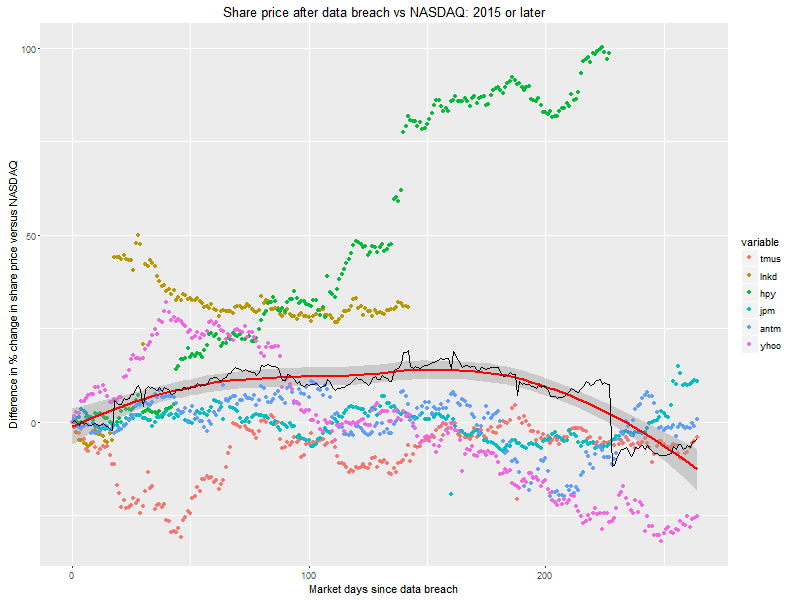 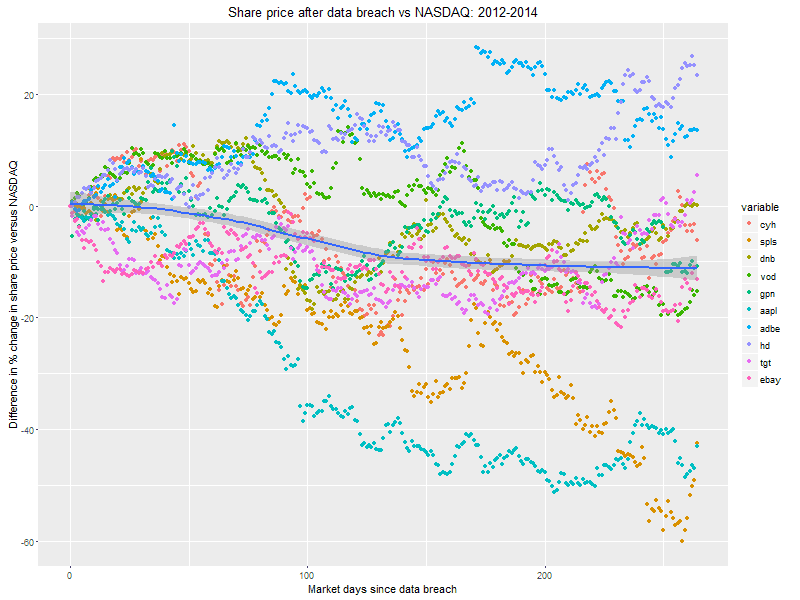 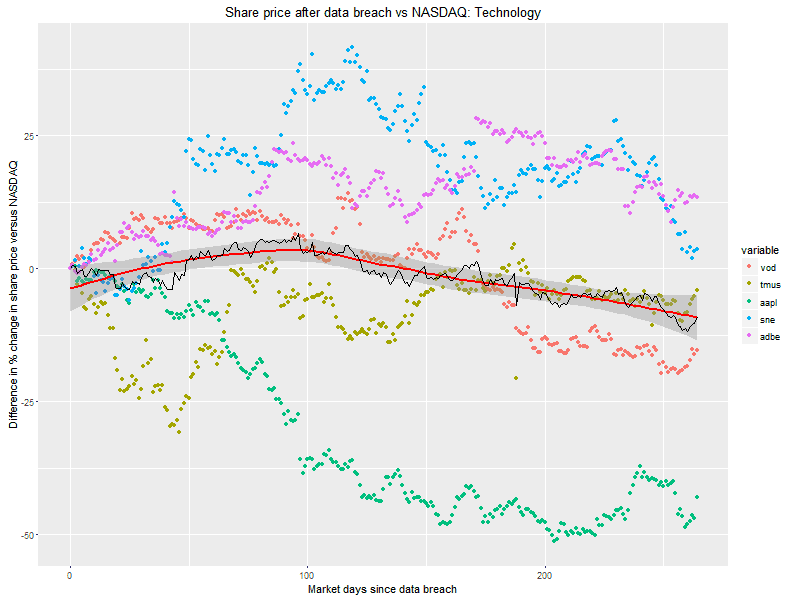 Stock prices for these companies didn’t drop in the wake of their breaches. 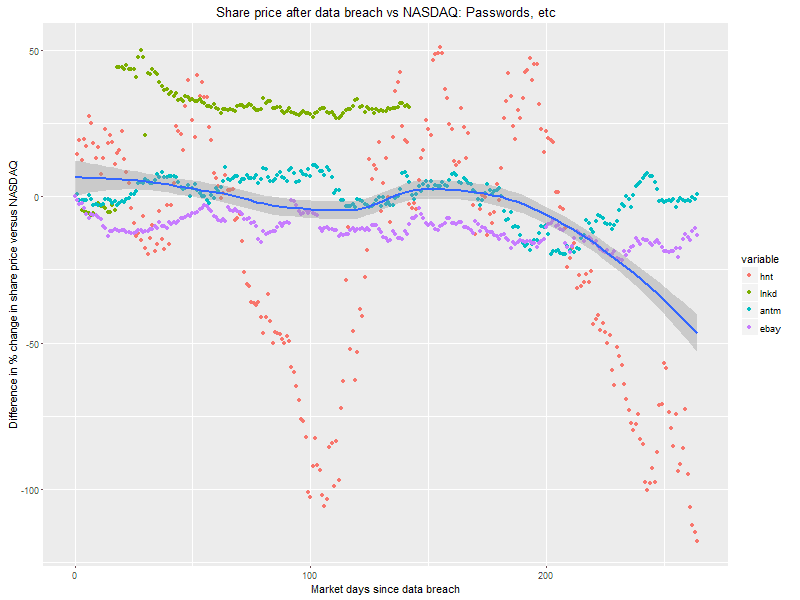 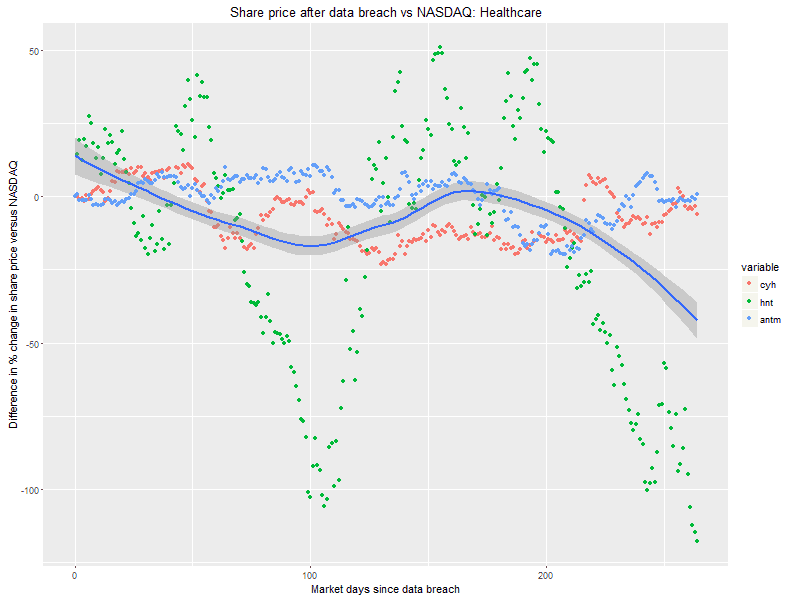 The ‚S‘ shape of the graph is influenced heavily by LinkedIn, which was sold to Microsoft and de-listed from the NASDAQ in the year after its breach. 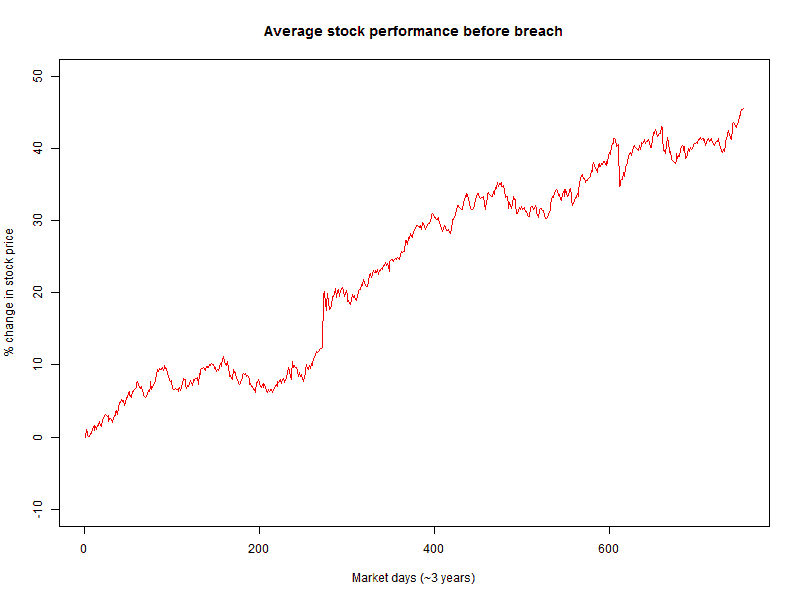 Without it, the chart would be a more gradual and steady increase, but an increase nonetheless.